The Pelton wheel is like a circular disk mounted on the rotating shaft . This circular disk have some buckets, placed at equal spacing around its circumference. Nozzles are arranged around the wheel such that the water jet emerging from a nozzle is tangential to the circumference of the wheel. Our pelton runner used high strength stainless steel material, with Cast machining or Forge CNC machining, it is have a good profile and high efficiency. If you are interest with the Francis turbine, you should send some key parameters (such as net head, flow discharge, unit number, frequency, voltage) in inquiry. 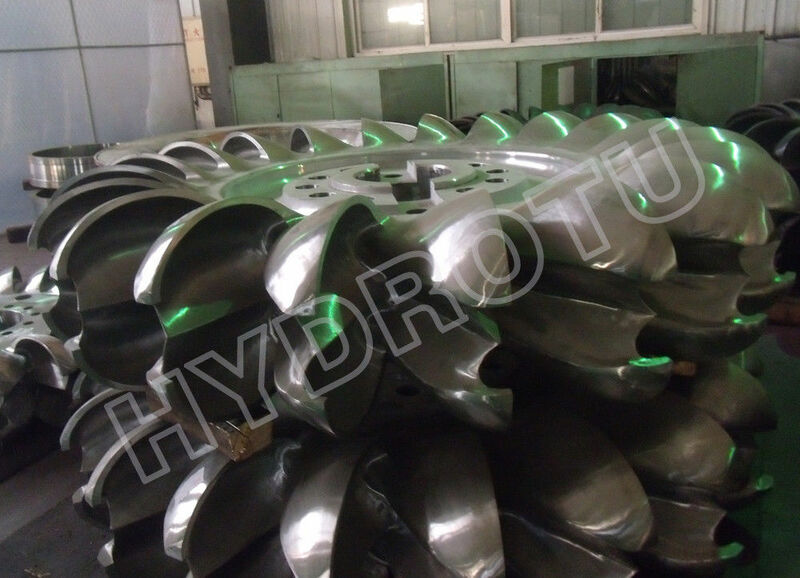 We can offer pelton turbine runner above 500KW, supply the runner with Forge and CNC machine, or runner with cast abrading machine for your require.